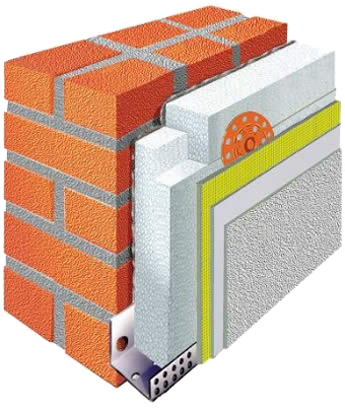 The benefits of solid wall insulationIf you live in a home with solid walls, 45% of your heat is escaping through the walls which is costing you money. Insulating the walls will dramatically prevent heat loss in the winter. If you have solid walls there are 2 ways you can insulate your home. 1.You can internally fit insulated plasterboards and replaster afterwards. Obviously you will need to redecorate involving moving sockets and switches/skirting architraves etc, and due to the thickness of the boards you will end up with smaller rooms with a lot of disruption in the process. 2. A better alternative is to have External wall insulation installed. This involves fixing fire retardant graphite enhanced Insulation to the outside of your house which is then rendered in the colour of your choice. Work is carried out without any disruption to the household and the final result is a warmer home that costs less to heat and the bonus of a brand new decorated look on the outside that never needs painting again. We specialise in external wall insulation and offer no obligation free quotations. Areas We cover are: Cannock,Hednesford,Stafford,Lichfield,Rugeley,Burntwood,Bloxwich Walsall,Pelsall,Sutton Coldfield, Tamworth.